Focus on form with this installment. We’ve made it over the halfway hump of our 10-week Workout of the Week series. Equinox Highland Park’s Seamus Dooley continues to guide us through Week 6. This movement is a intensifying progression from Week 5’s mobility/stability movement. It is very similar to last week in that we are asking for a lot of mobility from the hips and hamstrings. But now your core must really work to hold up your body. This is ideal for hip mobility but also serves as a great abdominal workout for the core. 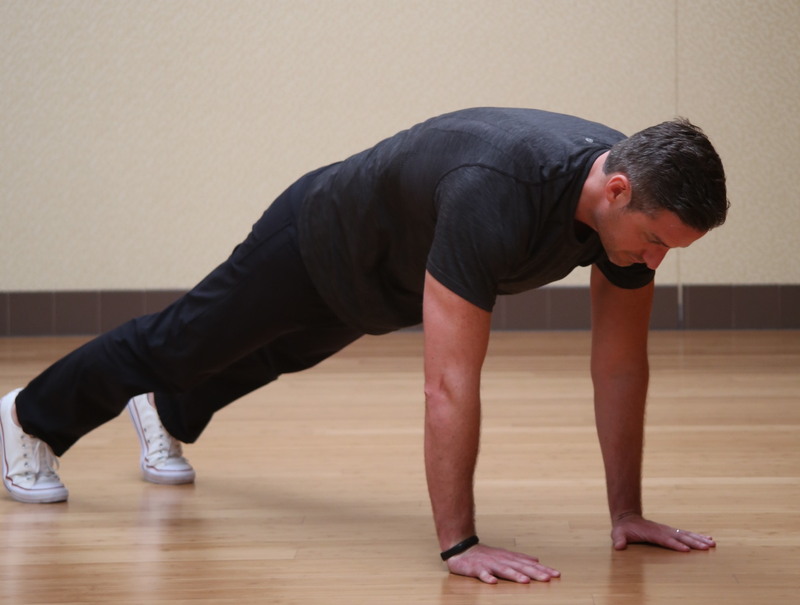 For Week 6, your core’s focus will, again, involve a plank. This week, we are taking a traditional plank and adding in some hip and glute abductors. With this exercise, it’s easy to engage your glutes, getting a little extra bang for your buck, Dooley says. Keep your tail tucked the entire time you’re executing this movement, he warns. Last week, Dooley showed us how to make the progressing lunge series more dynamic by adding explosive movement or weight. Now, we’re going to apply this to the lateral lunge. You will find it harder to keep your chest up and your spine tall, so Dooley says to be cognoscente of your posture in this movement. Do not rush this move; you want to be careful and protect your knees. Just when we’ve mastered the burpee from Week 5, Dooley adds some intensity. Here, we’re incorporating a slow pushup with the burpee when we reach the floor. This will add that extra burn to your chest and shoulders. Take your time and don’t rush. This week is about form, instead of number of reps and how fast you can complete the exercises. It is also important that you take your time in this movement so you can maintain the form we learned a few weeks back and execute a strong pushup. Integrating cardio and strength with this exercise is an ideal combination for your heart rate.